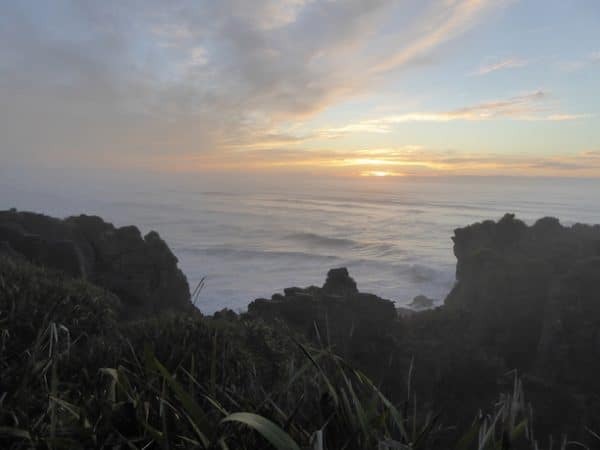 Book Sprints has brought us back to the place it all began – New Zealand! Yesterday we set off on what felt like an expedition from Christchurch on East Coast of the South Island, crossing the formidable Arthur’s Pass with its towering cliffs and plunging gorges, on the way to the West Coast. With bedding and groceries for the week, we clambered inside a minivan to, heading to take over one of the university’s field research stations in the one-horse town of Westport. Usually catering to groups of students coming to study the rocks around these parts, we might be one of the smallest groups this place has ever seen. Which is great for us because each of has an entire room of bunkbeds to ourselves. The journey here was spectacular. 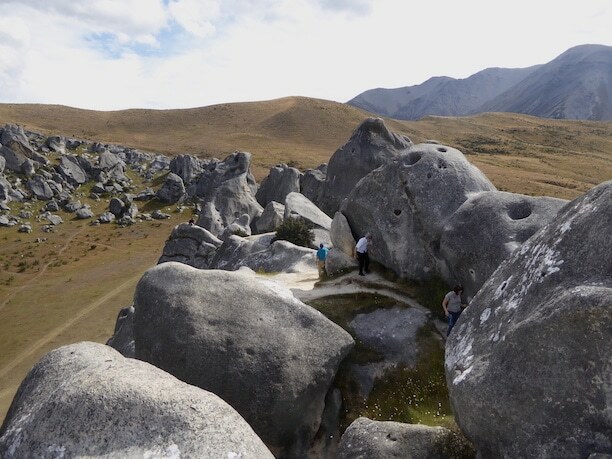 We able to stop at some of the most astounding sites NZ has to offer including Castle Hill, the vast and magical limestone rockfields and Pancake Rocks, the strange limestone rock, shaped by wind and rain over the years to look like stacks of pancakes. This visual inspiration on the way here was the perfect way to get a group of researchers inspired to write a book about human robotics interaction, hopefully. Since as typical with Book Sprints, there is little leaving the room after the thing has begun. Although as I write this a group of them did just return from a quick run to catch the sunset, greet some seals and happen upon a double-rainbow. 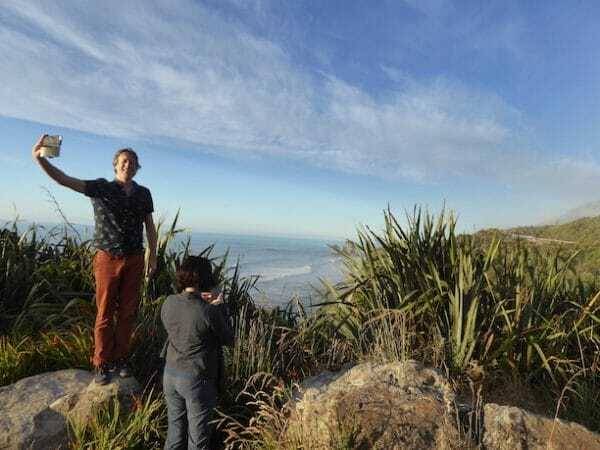 New Zealand is pretty ridiculous. 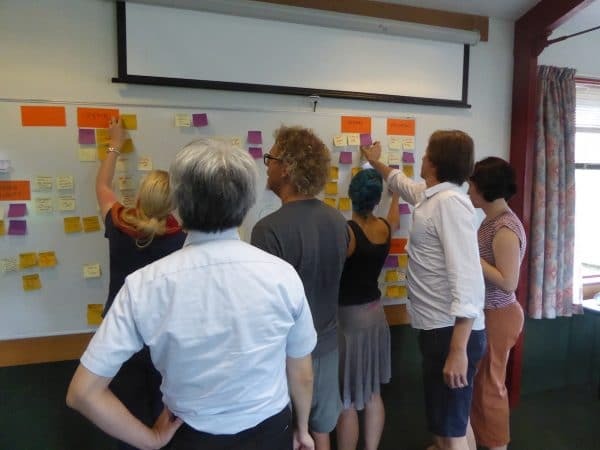 In addition to being in New Zealand, this Sprint is giving us a window into a very interesting, relevant and sparsely documented field of the sciences. Accurate information about the developments in robotics is very difficult to access. The media reports that we get in the mainstream, the researchers tell me, paints a much more sensationalist picture of what is actually going on behind lab doors. With this Sprint, we’re getting right in the thick of it with some of the leading experts in the design of robots to integrate into and improve human life. The writers include scientists and technologists attempting to merge their expertise and create a book which could be of equal use to a psychology student and an engineering student. A challenge indeed!